Only 12% of companies actually achieve what they set out to accomplish, says Patrick Litré who is a partner and director in Bain & Company based in Atlanta. 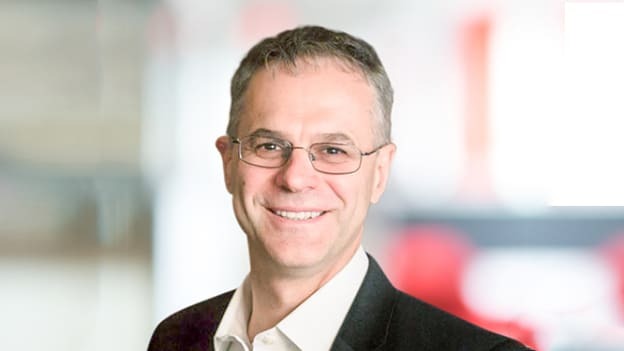 Patrick Litre is one of Bain & Company’s top global gurus on change management who maps the ongoing changes across industries and companies and creates strategies for organizations to thrive within those disruptions. With more than 25 years of experience across multiple industries, he leads Bain's global Results Delivery capability and has co-authored multiple reports on transformation and culture change within organizations. He is also a leader in the firm's Full Potential Transformation and Organization practices. He has co-authored Bain’s Results Delivery framework and toolkit for transformation and culture change, including leading several large-scale turnarounds and multiple large, complex global transformational and culture change assignments, as well as merger integration, customer strategy, sales transformation, and performance improvement work. In an interaction with People Matters, Patrick talked about how the role of CHRO evolved over time, why digital transformations fail, the right equation of company cultures, and more. How has the role of CHROs evolved over the last few years and what does this mean for companies and their leaders especially CEOs as they gear up to take their business to the next level? Employment practices are evolving every which way: from compensation and benefits to total rewards, from managing the employee population to managing a workforce ecosystem, from lifelong jobs to a career based on continuous learning, from annual performance reviews to continuous feedback, from individual achievement to team collaboration, and from personnel administration to workforce engagement. Digital technologies form the engine of this transformation. Those CHROs that master the deployment of technology will create a distinct and lasting competitive advantage in the search for talent in their industries. Additionally, CHROs have a key role to play in cross-functional transformations, infusing the effort with a deep understanding of how people respond to change—both positively and negatively. The most effective CHROs generate energy for the transformation by helping implement change at three levels of the organization – become a frank voice at the top, mobilize momentum in the middle, and embed change at the foundation, while taking care of business at home (role modeling swift and decisive changes in the HR function). As companies and their leaders gear up to take their business to the next level, they must remember that too often transformation efforts stall before they can gain any traction, and one common source of failure is the absence of a proactive and empowered CHRO. At a time when organizations globally are going through transformations, can the traditional organizations survive? How do you define successfully organizations in the wake of rising digital initiatives? In today’s tumultuous markets, where established companies are furiously battling assaults from start-ups and other insurgent competitors, the prospect of a fast-moving, adaptive organization is highly appealing. By now most business, leaders are familiar with agile innovation teams. For companies that get it right, it is possible to scale Agile effectively and to use this as a mechanism for addressing the disruption within their industry. There are four things that leaders need to address in order to scale Agile across their organization - role model Agile as a leadership team, get very clear on the operating architecture for the Agile organization, think about the changes that need to be made to support-functions to ensure they don't become the bottleneck for these Agile teams, and develop the right transition plan that is not too fast, but also not too slow. For example, Bosch, a leading global supplier of technology and services with more than 400,000 associates and operations in 60-plus countries, took this approach. As leaders began to see that traditional top-down management was no longer effective in a fast-moving, globalized world, the company became an early adopter of agile methods. Today Bosch operates with a mix of agile teams and traditionally structured units, and reports that nearly all areas have adopted agile values, are collaborating more effectively, and are adapting more quickly to increasingly dynamic marketplaces. Every year, companies spend billions of dollars on transformations, and only 12% succeed the same as five years ago, according to Bain and Company’s findings. What do the 12% of companies do differently to succeed? And why the majority of companies fail? That is right. Only 12% of companies actually achieve what they set out to accomplish. Some 38% fail by a wide margin, and 50% settle for a significant dilution of results. The disturbing implication of this is that over time, too many organizations unwittingly wind up accepting mediocre performance. Good intent, embodied in a new strategy or the design of a new operating model, will take you only so far. To realize the full benefit, mindsets, and behaviors—how people think and act every day—need to change. Most executives understand the basics of change. They think hard about the right strategic objectives. They choose teams with the skill to run parts of a change program, and they develop a process to organize the effort. Yet they often have blind spots that can undermine a program, from the central vision to the relevant behaviors to the inherent risks. In successful programs, executives anticipate and overcome these blind spots by addressing the “what, who and how” of change - what do we want to achieve? (And why is this important? ), who will make change happen? (And who will support them? ), and how will we get there? (And what might get in the way?). How do you see company cultures, which vary across companies? What is the right equation for a company culture because a company’s culture can have a powerful impact on its performance? Culture is an organization’s collective behavior, and behaviors are a manifestation of shared purpose and values (internal compass), enabled by leadership, talent systems, rituals & routines and communication. Winning cultures are not just about affiliation, they are also unashamedly about results. Our research suggests that winning cultures are comprised of two interrelated and reinforcing elements - a unique identity that gives employees a sense of meaning and creates passion for what the company does, and a set of performance attributes that align with the company’s strategy and reinforce the right employee behaviors (e.g., honesty, performance-focus, accountability and ownership, collaboration, etc.) .Companies with winning culture inspire employees and enable high performance, outperforming the rest by ~3.7X. Can you throw some light on decision-making difficulties that organizations face? And what are the different approaches to tackle them? Some organizations repeatedly stumble over particular types of critical decisions. Meetings should be effective forums for discussing or making decisions, but often they are not. Individual’s’ decision-making skills can also be a bottleneck. For example, people’s willingness to engage in open and constructive debate or their willingness to commit to a decision even when they disagree with it. And yet, many companies do not even measure their decision effectiveness. They do not know how they stack up against the competition, and they cannot tell whether they are getting better or worse over time. People may gripe in the hallways about this or that decision process, but there’s no burning platform to stimulate improvement. Measurement changes all that. Decision effectiveness involves four different dimensions. High-performing organizations make high-quality decisions. And they make those decisions faster than their competitors make, translate them into action more effectively and devote an appropriate amount of effort to the process. Organizations need to know how well (or poorly) they perform on all of these elements—decision quality, speed, yield and effort. Do you think the rules of business across industries are changing? Do you think the basic tenets of how businesses run will change in the future? The way we think about business is breaking down. We have reached the end of an era. The next era, the firm of the future, will be very different. The fundamental goals of strategy will not change, but how companies win will change significantly. The future will be about how firms deliver the benefits of scale and intimacy better and faster to customers in a highly turbulent environment. Companies will need to adopt a clear mission and identify the roles that are most central to delivering it. The Firm of the Future will be defined by the ecosystems—the assets and the partnerships—that they control. Companies will also see the emergence of new ownership models to enable longer-term perspective. Leaders of the future will run their core business while simultaneously developing a new growth engine that reflects new customer needs, new competitors, new economics or all three. The most successful firms in the coming era will use their Engine 2s not just as sources of new growth but also as vehicles to transform their companies into firms of the future. How do you see businesses in India and do you see a change in terms of how they operate and exploit technology for competitive advantage? We are seeing a seed change in the rate of innovation. The falling cost of software and equipment is helping digital technology spread to parts of the economy that were never possible before. We expect this to cause a profound change in healthcare, financial services, retail, technology, government, and these changes are just beginning. This is especially relevant for countries like India that are leapfrogging innovation cycles to solve inherent challenges like reach and affordability. Today we are seeing the digital change in four areas in most businesses – customer relationships, the product and service itself, the value chain that delivers those products and services, and lastly the capabilities required to deliver against digital in these areas. Digital is all-encompassing. It affects every function in the company. And yet, companies can’t execute against a broad-based 1000 points of digital light in the enterprise. They need to be very purposeful about where digital can help them improve their advantage based on their own context.